Winter wavepool surfing logged another clip this week when Eneko Acero and Bra Boy Koby Abberton took to Wavegarden’s Cove test pool. Basque first-generation pro Eneko, brother to Kepa Acero, traded kegs with Abberton in a friendly January surf off. The duo have compeeted against each other since they were groms. Koby estimates the rivalry has been heated for 28 years now. But this session was all about testing out the various settings at Wavegarden’s Cove facility. The friendly super heat went down in a topography heavy with valleys, hills and very little daylight either side of the Winter solstice. As a result, it gets quite cold. 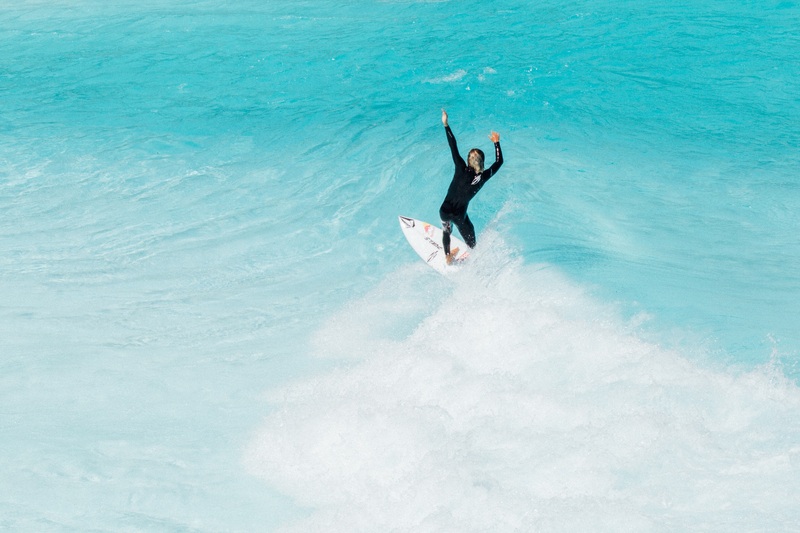 The constant rotation of surfing in a wave pool will factor into future wetsuit designs as winter wave pool sessions become more commonplace. Currently, suits designed for ocean surfing are thicker in the chest and back for help insulate during long lulls. Koby_Eneko_clip from wavegarden on Vimeo.